On a personal level, playing the piano has given me a great deal of enjoyment and a sense of achievement. 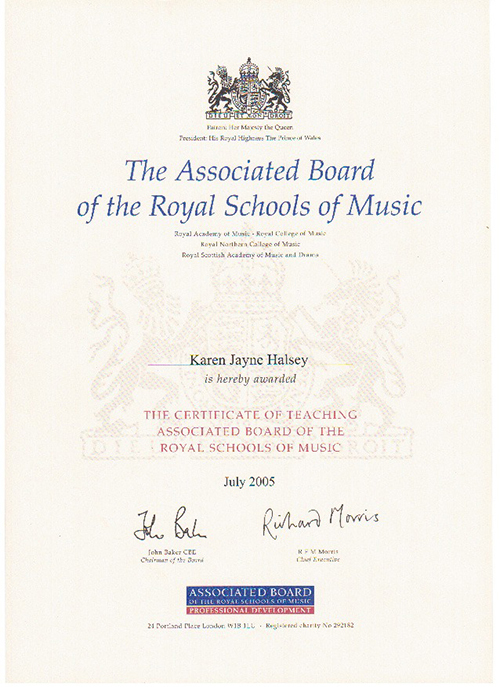 As a piano teacher, my priority is to provide inspiring tuition to develop your own enjoyment and appreciation of music. I am a member of the European Piano Teachers’ Association (EPTA UK) and I belong to a piano group based in Halifax, which stages annual concerts. To update my knowledge of new publications, teaching techniques and resources, I regularly attend conferences and seminars. My other musical interests include playing the ukulele and I belong to the Roundhay Ukulele Group. I sing in the Inspiration Choir, which gives concerts three times a year at Leeds Town Hall – a very enjoyable evening and highly recommended! I also play the flute (Grade 8 level).